Title page of the Darwin-Wallace paper. 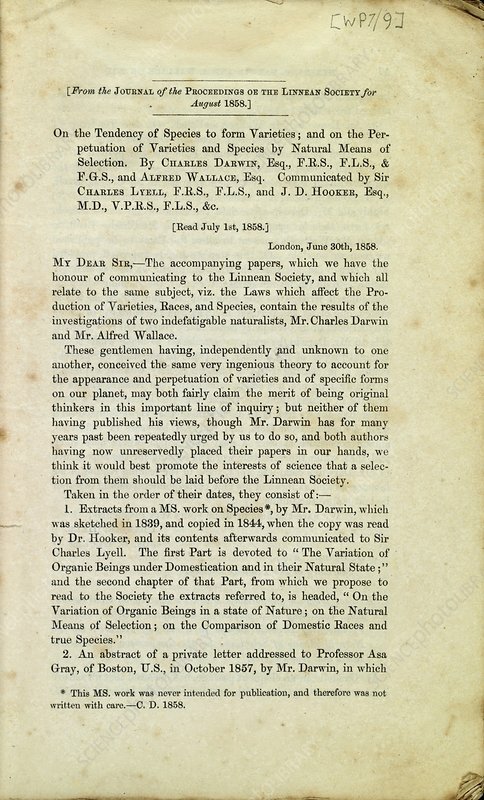 Alfred Russel Wallace's annotated copy of his joint 1858 paper with Charles Darwin, titled 'On the Tendency of Species to form Varieties; and on the Perpetuation of Varieties and Species by Natural Means of Selection', published in the Journal of the Proceedings of the Linnean Society. This page is from the Wallace Papers, held at the Natural History Museum, London, UK.